Tombstone of Martha J. Choate. 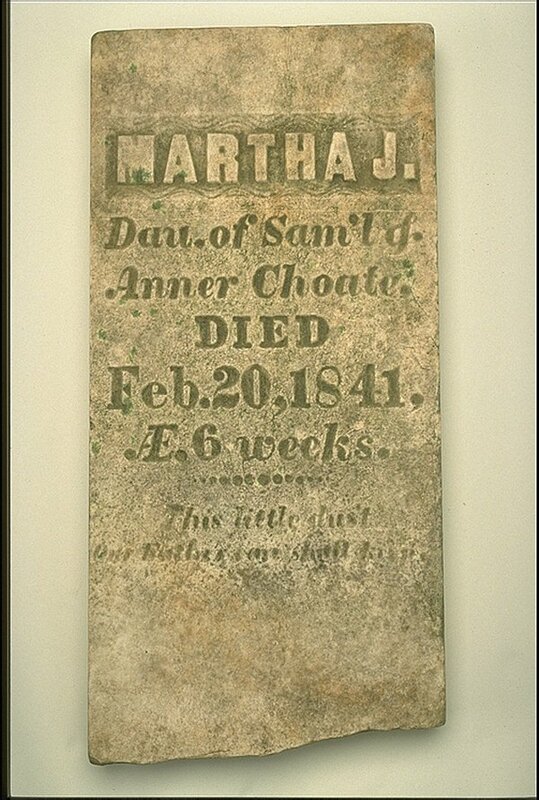 The brief life of Martha J. Choate, age six weeks, is recorded in this simple memorial from a family burial plot on a New Hampshire farm. With baptismal documentation lacking, it is only because her parents marked the grave with this stone that her existence is known to us, many generations later.